From mockup to cooked dish, the above is yet another idea brought to life in the GourmetKickz Kitchen. This shoe was particularly technical due to the sidewall spheres needing to be painted accurately and then having their craters filled with black to offset them from the rest of the shoe. The soles are also dyed and of course an iridescent paint job with nerf-like black fade/stippling to tie the design and theme together. This custom piece is currently for sale and includes the rookie. After the jump you can see more images and purchase a pair. Be aware of extended wait times as the Kitchen is extremely busy with previously booked orders. My latest addition to the Galaxy themed custom sneakers in my body of work is a combination of my previously launched “Zoom Nebula” Rookie and my recently launched “Luminous Galaxy” Foamposite One. 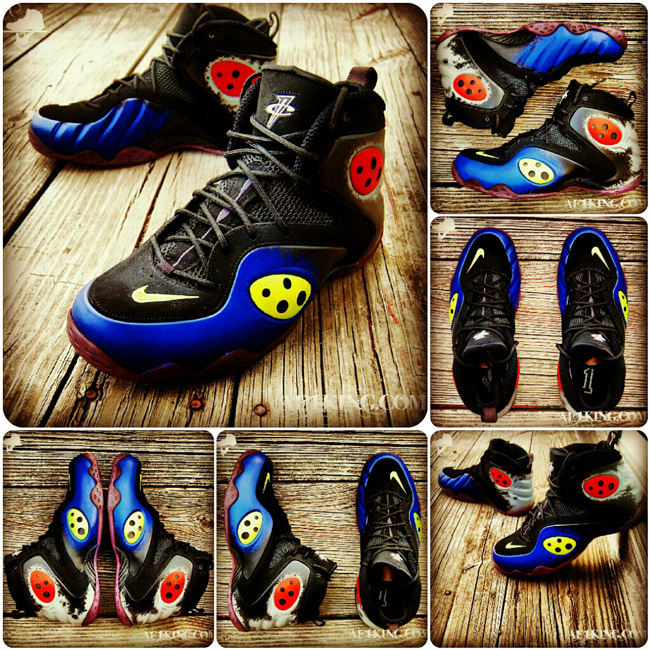 The result is a beautiful Galaxy printed Zoom Rookie whereby the galaxy print glows in the dark. The stars glow brighter, and the treated graphic glows in a manner that accents the multi-colored galaxy print. 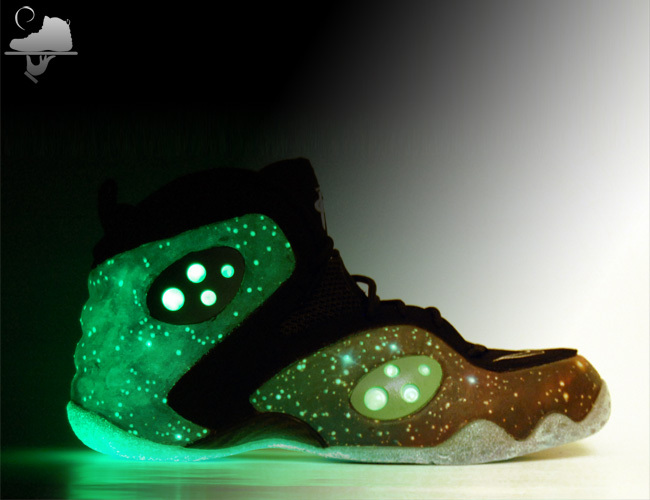 There is an option for a glowing sole and the sidewall spheres are painted mint green with their craters only glowing. Check out more pictures after the jump and select your size for purchase.